At press time, federal legislation that would repeal the 30 percent alien-withholding requirements and allow the domestic horseracing industry to further export its product to foreign markets is up for a final vote by the U.S. House and Senate. THE BILL IS EXPECTED TO GO TO THE HOUSE FLOOR TONIGHT AT 7:00 P.M. WITH THE TIME FOR THE SENATE DEBATE STILL TO BE DETERMINED. The 30 percent withholding legislation is contained in the Foreign Sales Corporation (FSC) bill. The primary focus of the FSC legislation is to repeal subsidies for U.S. exports that the World Trade Organization (WTO) has deemed illegal. Key supporters of the Thoroughbred industry in Congress included language in the bill that would eliminate the 30 percent withholding tax that foreigners would pay on winnings for pari-mutuel wagers into U.S. pools. The 30 percent withholding tax effectively precludes common-pooling by foreign countries into U.S. wagering pools. "Passage of our 30 percent withholding legislation would be a significant step in expanding the international market for American Thoroughbred racing," said National Thoroughbred Racing Association Commissioner D.G. Van Clief, Jr. The 30 percent withholding legislation has enjoyed bicameral, bipartisan support from key members of Congress, including Senate Majority Whip Mitch McConnell (R-KY), Senators Jim Bunning (R-KY) and Blanche Lincoln (D-AR) as well as Representative Jim McCrery (R-LA). NTRA officials expect that the elimination of the 30 percent withholding tax will help open the $85 billion international market for horseracing to U.S. common pooling. If 5 percent of that were to enter U.S. pools, another $4.25 billion in handle and some $135 million in commissions (at a 3 percent fee) would be realized by domestic racing interests. In addition to eliminating the 30 percent withholding tax, there is another benefit for the Thoroughbred industry. Should the FSC bill pass and the provisions to which the WTO objects are repealed, retaliatory tariffs imposed by the European Union will expire. The large list of products to which the tariffs are applied includes Thoroughbreds. The tariffs began in March at 5 percent and have increased 1 percent each month since. They now stand at 11 percent and can go as high as 20 percent. 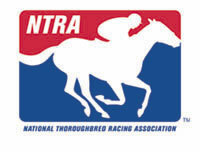 For updates on the NTRA’s legislative programs visit www.NTRAlegislation.com or contact Joe Clabes at (800) 792-6872. The National Thoroughbred Racing Association (NTRA), Breeders' Cup Limited and Post Time Technologies Inc., announced today that some 80 key prep races leading up to the Oct. 30 Breeders' Cup World Thoroughbred Championships will be available for free viewing on the Internet via video streaming. In addition, Breeders’ Cup Ltd. and Post Time Technologies Inc. are offering a DVD containing these races for purchase by consumers. The online content, accessible now by visiting www.racereplays.com, www.ntra.com or www.breederscup.com, will feature full video and audio of all 80 races. Results content is provided by Equibase Company. Races have been selected based on their perceived relevance to this year's Breeders' Cup World Thoroughbred Championships, with new preps to be added to the Preview Web site through Oct. 11. All replays can be accessed free of charge once users complete an online registration. The DVD carries a retail price of $16.99 and is available through www.ntra.com and www.breederscup.com. The DVD will feature more than 70 races run through October 3 and includes the finishing order of each race. Consumers must order the DVD by October 20 to qualify for first-class postage, with overnight orders extending through October 26.